If you’ve been following my playlists this year, you would have noticed a hugely Australian bent to them. In fact, most weeks there is 90-100% Australian music. Of course, this is because I want to highlight how much great music is coming out of this country and support those up and coming emerging indie artists that should have their music heard by as many people as possible. Breaking into the ever competitive music industry is almost like banging your head on a brick-wall. Maybe, eventually, you’ll start to make a dent or a crack in the wall, but more than likely your head will break first. So many artists will try and try and try to somehow make music their livelihood, but so many won’t make it and it’s a sad thing when talented artists aren’t given the audience they deserve. Anyway, enough of the rant! Here are the latest ten that I think deserve some attention. If you like what you hear, why don’t you flick it on to a friend? 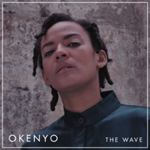 I’ve featured the amazing OKENYO before in my playlist, but with her debut EP, THE WAVE, being released last Friday I wanted to reinforce just how great she is. Her music is strong, interesting and so well constructed that you can’t help but sit back, let it seep into your pores and enjoy. This track, UTOPIA, is the final track on the EP and one of my favourite. It builds up from a quiet start and the bass-drum kicks in with OKENYO’s voice dancing over the top. It’s a joyful song and was written about one of the singer’s favourite days with someone she loved. This group, out of Sydney, delivered a solid debut album last year, but it doesn’t appear they’re about to rest on their laurels. Less than a year later, Slum Sociable have released their brand new track, Do Something About It. It’s down-beat haunting sort of track with a dank bass sound and interesting synth effects that the duo are becoming well known for. I really love their unique sound. They’re doing something that not a lot of artists are doing and pushing themselves with each release. Look out for them on a just announced east coast tour. I love it when a band, that has been doing the hard touring yards and releasing a steadily improving pool of tracks, finally release their debut album. 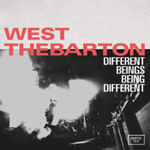 West Thebarton (formally of the Brothel Party type) have been finding their feet for a number of years now after first smashing the scene with their 2015 debut EP. The seven-piece (yes. 4 guitars.) from you-know-where are really a fun bunch. There’s a tinge of Australiana in there, a smattering of garage-punk and a whole lot of lyrical genius. I’ve chosen Gough from their album to highlight. “I need a Gough to settle-down”. I’m not really sure what that means, but hey, I hope it has something to do with Gough Whitlam? Rollicking good fun. 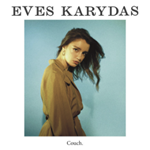 Eves Karydas (fka Eves The Behaviour), now going by her birth name, has relaunched herself and with it a sparkling couple of tracks this year, including this absolute beauty, Couch. I love the funky synth, the harmonic backing and the banger of a beat that gives this song a retro-pop feel whilst still feeling fresh af. She is certainly starting to make a name for herself after breaking out as a 19 year old talent five years ago. A stint overseas and some inspiration from big hits (think The Weeknd’s Can’t Feel My Face) and Eves is set to really break out this year. 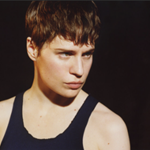 Look for her first headline shows on the east coast and a Splendour appearance not long after! You may remember Snakadaktal as one of the big success stories of ‘triple j Unearthed High’ Competition back in 2011. Their dream-poppy style won over a legion of fans before their untimely dissolution in 2014. Now, two of the members continue on that path with this project, titled Two People. 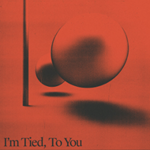 I’m Tied, To You is a great return to the scene from Phoebe Lou and Joseph Clough. Fragile and tentative to start before building into something tangible and full with sax included! It’s a great choice for lead single from their upcoming album and performance and Splendour thrown in! 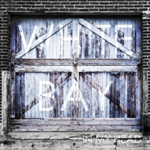 It’s not often I through in some heavy stuff into this playlist, but I couldn’t resist when I heard this song from White Bay this week. This three-piece rock group from Sydney have named themselves after this old port from Sydney’s inner-west and released a pumping track, In My Head. It’s a little bit punk, but with some charged riffs and guitar squeals thrown in. It’s an all around punchy single and one that actually took ages to write. After rewriting complete sections of the verse after demos, the final track was laid down at Electric Sun Studios. Go on, rock out for a bit. A coming of age track for an artist finding her way. It’s not a bad way to do it though. Maribelle has carved out this quirky number about falling for a female for the first time. I’m a Mess Without You is a translatable track though for anyone who has those strong early feelings for anyone. It shows off some excellent writing, both in the intricate layering, glitchy beats and clever lyrics. 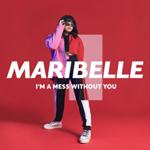 Maribelle already has some big name co-writes with Styalz Fuego (Spit Syndicate, Peking Duk) and Nic Martin (Horrorshow, Seth Sentry). I’ll be watching her with anticipation! There’s a hard-working and solid rock band in Sydney called Julia Why? 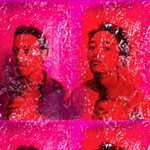 This track, from their guitarist Caleb Jacobs, sounds nothing like those grungey sounds. 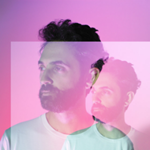 This bedroom project, known as Plum delivers a floating, smooth jam that would fit alongside other upcoming atmospheric electronic artists in Australia. There’s some ultra-cool production here and lyrics rotating around early romantic encounters. The ones that you float back to with fondness. Nice stuff. 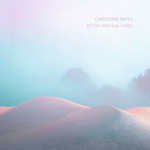 Starting with a smooth sweep of the fret-board, this track from Christian Patey moves into the sweet falsetto of an artist that is really starting to make a name for himself. Throw the perfect sounding vocal of Isabel and you have a perfectly placed tune in Better Way. There’s some really nice production in this; a funky little bass line, some well-timed percussion, a cute little whistle and nice duality of the voices. Look out for a set from this one-man creation machine on the east coast soon. It’s a cruisy way to get into this exciting artist.